That feature shows actual utilization of all SAN ports, storage pools and volumes in the table where each item has color based on its response time during last hour. Each heatmap is refreshed every hour. 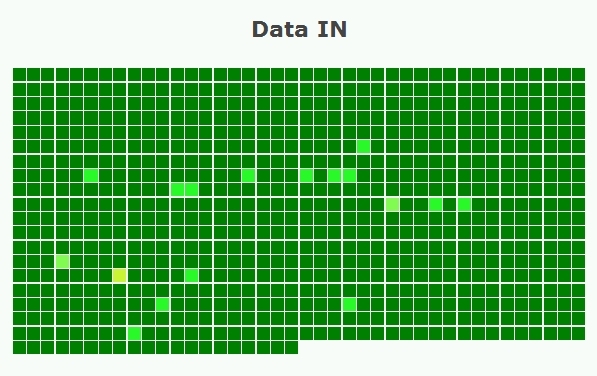 Heatmap is based on average read or write (in/out) response time (latency) of each pool and volume in past 1 hour. Storages which do not provide response time at all (old firmwares of IBM DS3/4/5k) are excluded. It is further divided into tiers. Each tier has its own thresholds. All pools are by default in tier1, you can easily change tier assignment in "Configuration" tab. Volumes inherit tier assigment of their pools.